The "Die Hard" actor and wife, Emma Heming, fell in love with the luxurious New York City condo. 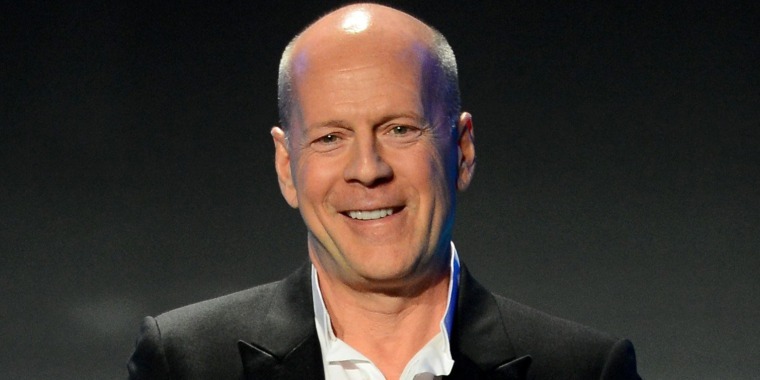 Bruce Willis put his Manhattan duplex located on the Upper West Side on the market in January, but he's not moving far. According to his realtor, he's still a “West Side guy." With the help of Douglas Elliman agent Ann Cutbill Lenane, the “Die Hard” actor and wife Emma Heming downsized for a new breathtaking home — a spot at the One West End. The new luxury condominium is just a few blocks away from the former property, a Central Park-adjacent home that ran 6,000-square-feet. The new move-in ready condo — which cost $7.9 million — might be only half the size of the prior property, but it holds everything Willis and his wife wanted for themselves and their two young children. The 37th-floor condo has four bedrooms, 4.5 bathrooms, 10.5-foot ceilings and beautiful views. The famed actor fell in love with the space’s natural light. According to the real estate agent, one of the biggest selling points for Willis and Heming was the 75-foot swimming pool. In addition to striking outdoor scenery, the condo also boasts wonderful dining room space and a kitchen with walnut cabinetry, slab marble countertops and polished chrome fixtures. “They saw [the apartment] and they loved it," the agent said. "There are not very many buildings that have such great amenities and Bruce wanted to stay on the Upper West Side so this spot really checked all the boxes." The resort-inspired development just gained a family full of fun-loving swimmers ready to jump into a new chapter in their “West Side” story.